Four combat veterans of the more than 250 veterans treated at the Rocky Mountain Hyperbaric Institute have been selected for their courageous accounts as well as for their personal devotion to all veterans who suffer the signature wounds of war. All four of them suffered serious brain trauma in the Iraq-Afghan wars, at a time when the benefits of HBOT were virtually unknown. 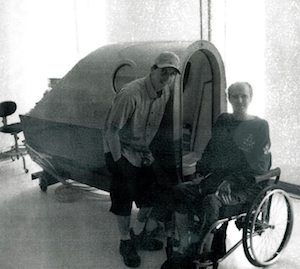 These veterans remained untreated, but over-medicated, until they were rescued by HBOT therapy. We would like to tell every veteran’s story but have settled on these four combat veterans who credit their own amazing recoveries to this therapy. 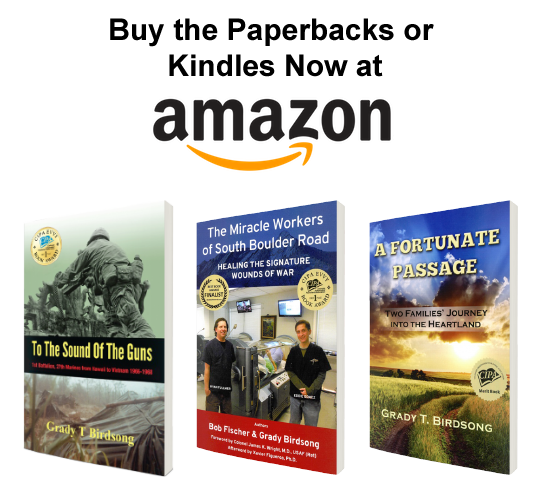 We can assure you that each healed veteran would tell you a similar story. They all have undergone HBOT treatment and some form of professional PTSD counseling. In 2012, Charles “Pat” Smith, Department Adjutant of the American Legion of the State of Colorado, invited Colonel R. L. Fischer to meet a young woman who had recently been medically separated from the Army and who had just begun successful hyperbaric oxygen treatments with Dr. Paul Harch at his clinic in New Orleans. 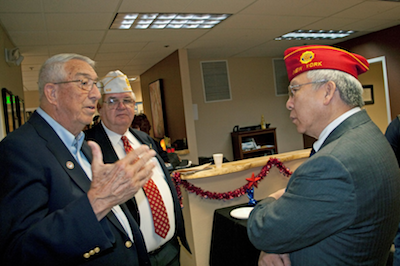 At this meeting was the editor of the Legion’s Observer Magazine, Darrel Myers, and former American Legion National Commander in 2005, Thomas Bock. 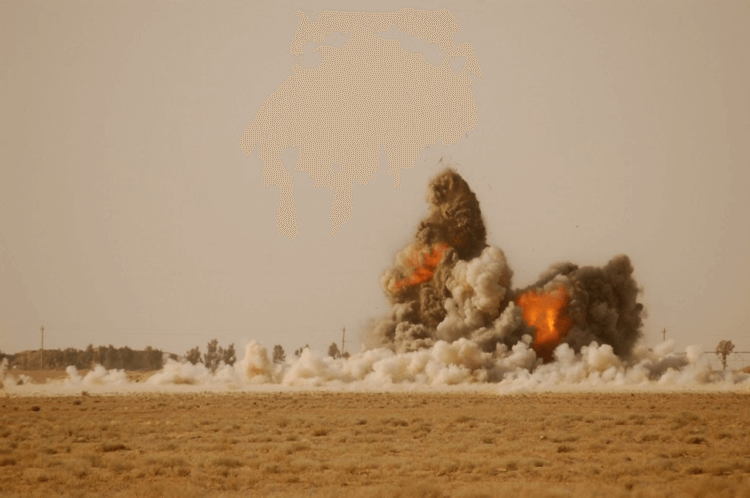 The reason for the meeting was to gain a deeper understanding of this new treatment that was proving to be effective in healing concussive blast injuries suffered by our combat veterans. Past Legion Commander Bock prefaced the reason for the meeting by telling Colonel Fischer, “Wait until you meet this young lady. She has quite a story to tell us.” Shortly thereafter, the very attractive young woman arrived with her friend in tow, a shy lanky young man, obviously a veteran recently out of the military. She greeted everyone there by introducing herself and then turned to her companion to introduce him, “You all will have to speak slowly. My friend is a United States Marine.” That comment broke the ice and the group truly enjoyed meeting with and listening to Margaux Mange tell her story from playing high school soccer to becoming a United States Army Military Policeman. Here is Margaux’s story. After being in Germany for a while, Margaux hoped that she could again try out for the soccer team. 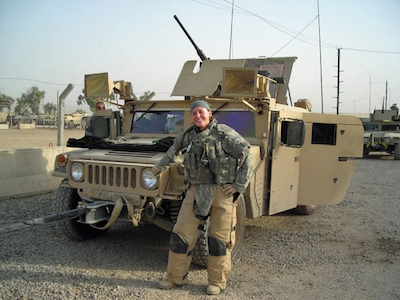 She was disappointed when she was sent to a school to train for her next OIF tour as a gunner instead of a driver. Margaux spent her days visiting the hospital three hours away from Bamberg and there she received a multitude of pills—morphine, Percocet, and more medications. Then the doctors decided her PTSD was so bad that they sent her home to Colorado because that was where her family lived. Remembering that journey home to Colorado and checking in, Margaux says the Army doctors gave her a choice, “Stay on pills for the rest of my life or try brain surgery.” She finally had brain surgery in March 2008. That was the beginning of the end of her active Army duty. In February 2010, after Margaux completed her forty dives with Dr. Harch, they determined that her TBI and PTSD were more serious than the mild TBI first diagnosed. This would require many more chamber hours, which she found in Colorado after she returned to live near her father. In August 2010, Ryan and Eddie learned of her amazing story and offered to treat her at the Rocky Mountain Hyperbaric Institute “for as long as it takes to heal you.” So, another forty chamber hours were scheduled over the next few months. 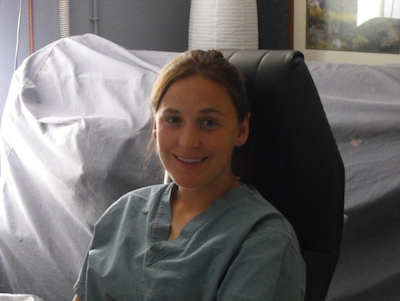 Margaux continued to return for additional “maintenance” treatments for several years after that (achieving a total of 140 HBOT chamber hours between both facilities). Today Margaux knows she can finally cope with her TBI and its related PTSD. She still volunteers to raise funds for the Rocky Mountain clinic. Margaux tells others that the only negative aspect to this treatment is that a person must lie in a tube for an hour every day and that she thinks that people are just impatient with the need to do that. She also thinks many people still don’t know about this form of treatment and its benefits. When people are new to the treatment, there are still those who find it hard to believe in its benefits. Taking a pill provides quick relief, but the effects are temporary. Sometimes it is difficult to get people to understand that pills won’t work in the long run, but the long-term effects of hyperbaric oxygen treatment will be well worth the time it takes. Now that Margaux has gone through over 140 hours of dives, she is not the robot that she thought she might become. In fact, her own inner strength and competitive nature have brought her back to the Margaux she always was. Despite dealing with the signature wounds she suffered, she now excels in mountain climbing. She has scaled 19,000-foot Cototaxi in Equador and a more recent ascent of Mount Denali in Alaska that was thwarted by weather at 9,000 feet. She participated in the cyclists’ Ride to Recovery that toured Washington State and the coast of California as well as rode bike tours through Italy and France. Since 2011, Margaux has competed three times in the Wounded Warrior games held at Colorado Springs. She won five gold medals and three silver medals, just one more proof that our former athlete still has it. 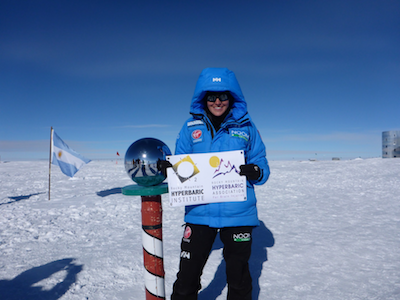 To top it off, Margaux was chosen to represent America’s Walking with the Wounded team that competed with a European team headed by Prince Harry of Great Britain and an Aussie-New Zealand team in the South Pole Allied Challenge that began November 14, 2013. Not only did Margaux and another American female warrior race against the men of the other teams, but one of Margaux’s team was a blind warrior who needed assistance every step of that long and difficult Antarctic trek. Margaux met the prince and all the international participants in England, where they were wined and dined before flying out to New Zealand. They then sailed off to the race site in Antarctica. Their arctic trek was filmed from the beginning, and it was obvious that Prince Harry was out to win it all for his team. Cameramen accompanying the racers had as much difficulty with the rugged, inhospitable terrain as the racers obviously did. Within the first few days, Harry had managed a considerable lead over the other two teams. It became apparent, however, that something was very wrong. Filming revealed that the American team was falling behind by quite a distance. 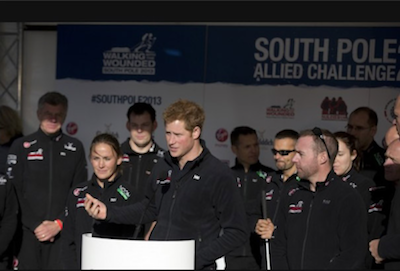 When Prince Harry realized it was due to the team’s challenges to assist their blind team member, he decided that all three teams would race together and Margaux and her friends would get help with their handicapped racer. 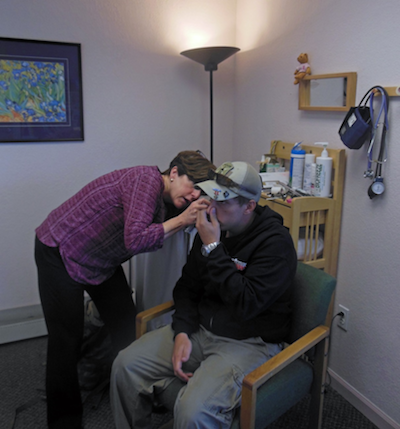 Everyone at the Rocky Mountain clinic admires Margaux for her exceptional humility and spirit. Eddie and Ryan were extremely proud when she displayed the Rocky Mountain Hyperbaric Institute and Rocky Mountain Hyperbaric Association for Brain Injuries banners at the pole. Margaux’s performance and gutty grit in that grueling race set a new level of fortitude and courage that this lovely, young combat veteran consistently demonstrates in her life. 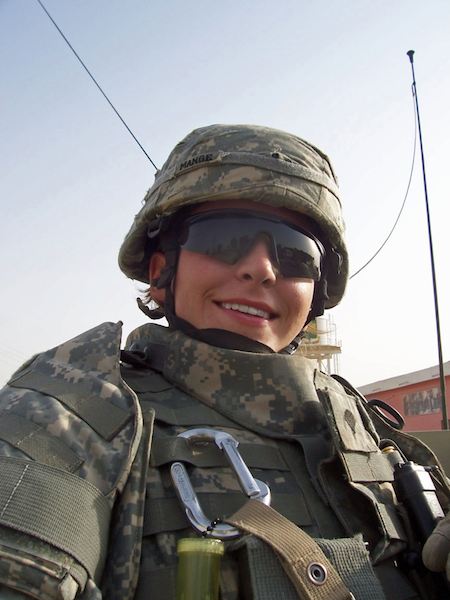 The Rocky Mountain Hyperbaric Institute also owes a major debt of gratitude to Margaux for being the first to step up and share her personal experience with other veterans who seek treatment. Very large donor groups have heard her compelling story, and today it is their generosity that provides the funds to treat hundreds of combat veterans free of charge. She knows they too can be healed in the same way she was. Margaux is quick to credit Robert Alvarez, counselor/therapist, for coming into her life and helping her with her new life. Today Margaux attends the School of Mountaineering in Leadville, Colorado, ready to climb even higher.